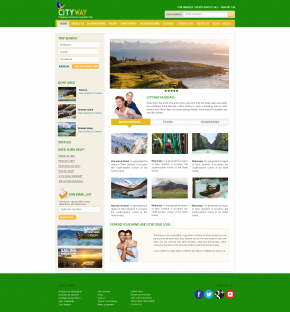 This template is stunning, has a luxurious design, perfect for presenting hotel and travel services on the web. Sophisticated head to toe, with skillfully made details and elements, this template provides for a stylish look and first-class feel. Thought through layouts make the game more enjoyable. Catchy slider with large image blocks and responsive nature makes the navigation seamless and hassle-free. What can be better for illustrating your travel packages than a fully-fledged gallery with hi-res images of your travel destinations? Spice it up with a compelling description of additional services and it would be impossible to leave the site without booking a holiday for an enjoyable trip. 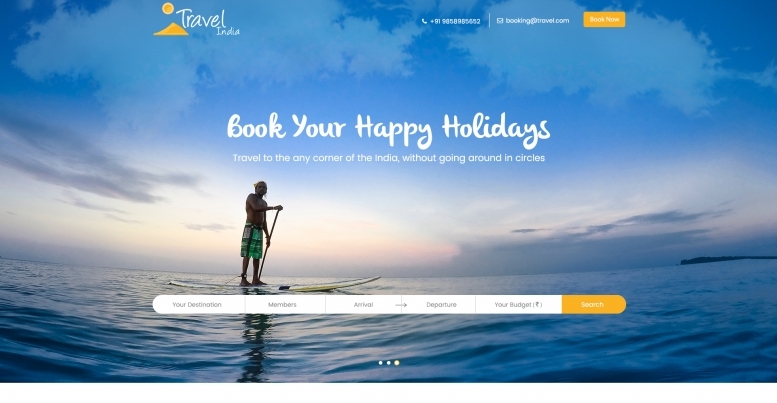 The travel India template features a subtle banner slider with an advanced search using destination name, no. of persons, arrival and departure dates and maximum budget. There is also a section for featured tours given price, short description, review and duration of the package. Customers can request for a quote for creating custom travel packages. There is a dedicated section available to feature the most important information available about the travel booking process. A website statistics section is present which displays the basic statistics of the website.